Uh oh. It looks like the DOT has found something else they don’t like about airlines with which they want to get involved. This time, it’s the refunding of bag fees when bag aren’t delivered. Guess what? I agree with the idea. First I’d like to say that I hate when the feds get involved with anything, because they usually screw it up. It sounds like definition of the words “timely manner” might be in play right now, and you know this will never be implemented properly. Of course, had the airlines been more proactive in this area, they wouldn’t have had to deal with this. I realize that when Secretary Ray LaHood gets his focus on something the airlines do, he seems to enjoy rushing it through without actually measuring consequences. So, let me give some suggestions on what might make sense here. The key is determining what exactly you’re paying for when it comes to bag fees. I believe that you’re paying the airline to deliver your bags to your destination on the same flight you’re scheduled to take when you check those bags. 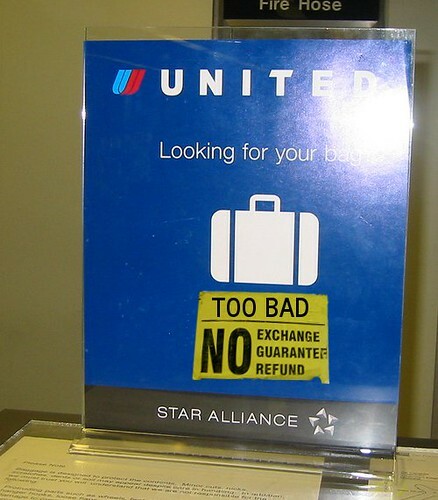 If you show up on that flight and your bags don’t, you should have the fee refunded. I’m not so sure it should be a full refund, but we’ll talk about this later.